Over the last couple of years, driven by consumer demand, investor considerations and market forces, animal welfare commitments are on the rise and in the pig sector that means more, higher welfare, cage-free systems for millions of pigs across the globe. 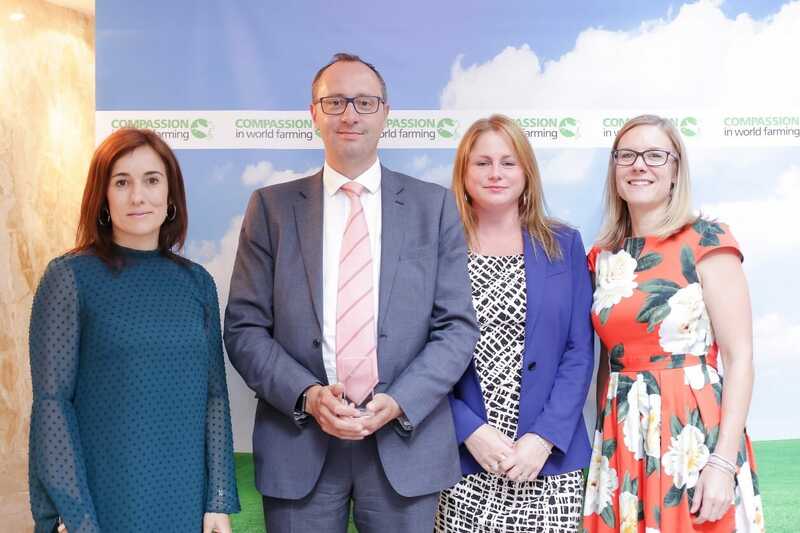 Compassion in World Farming celebrated those companies committed to change at their annual Good Farm Animal Welfare Awards, which took place on Thursday 21 June at Les Salons Hoche, Paris hosted by European journalist and broadcaster, Alex Taylor. Alex said: "As a former vegetarian (now flexitarian!) - and having hosted many conferences on the subject, I'm convinced we are at a turning point in the general public’s attitude towards animal welfare. I'm delighted to be hosting this year's ceremony and to have the opportunity to celebrate those companies that are doing so much, in very practical ways, to advance a cause which is, above all - simply humane. I truly believe their work is invaluable." This year there was a total of 59 awards celebrating market-leading food businesses for their higher welfare policies and practices which are estimated to positively impact the lives of over 209 million animals each year. 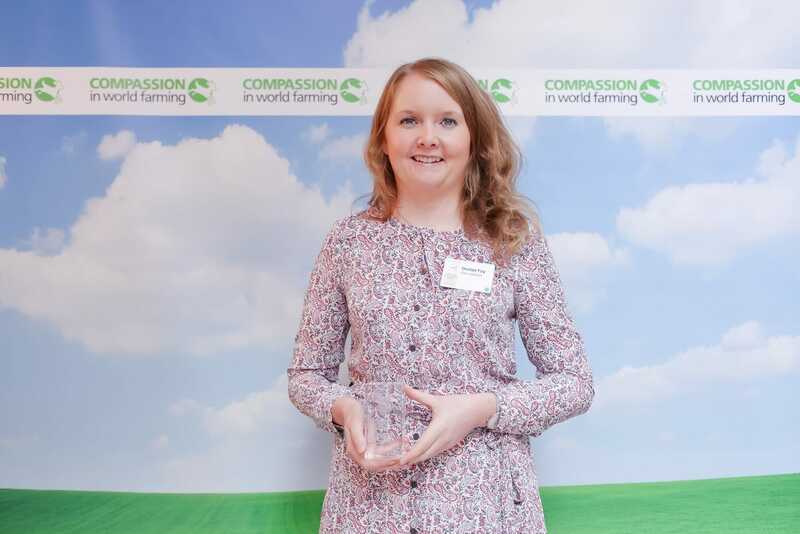 Compassion’s main awards (which comprise the Good Egg Awards, Good Chicken Awards, Good Dairy Awards, Good Pig Awards and Good Rabbit Awards), were accompanied this year by the prestigious Special Recognition Award and the 2018 Best Innovation Award and Best Marketing Award for the food service and manufacturing sectors. Overall there were 14 Good Egg Awards, three Good Chicken Awards, two Good Dairy Commendations, one Good Calf Commendation, four Good Rabbit Commendations and three Good Pig Awards. Co-op UK received a Good Pig Award for its policy to only use 100% British outdoor-bred pigs from RSPCA Assured farms across their fresh pork, bacon, gammon, sausages and ham. This move bolsters the retailer’s animal welfare credentials and means that all pigs within its producer group and wider supply chain will be born outdoors and raised in well-ventilated, spacious straw barns in line with strict RSPCA welfare standards on farms across the UK. 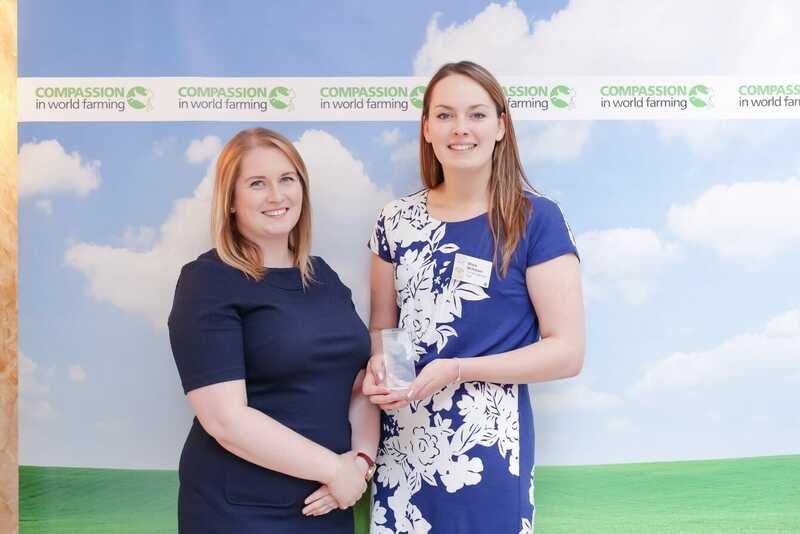 Leading child nutrition company, Ella’s Kitchen, which focuses on developing healthy, sustainable food for infants has previously received a Good Egg Award and a Good Chicken Award from Compassion. This year, they picked up a Good Pig Award in recognition of their policy to only source pork from organic systems. Spoiltpig produces responsibly farmed, award winning bacon. They received a Good Pig Award in recognition of the welfare standards of the outdoor bred pork in their supply chain. Winterbotham Darby has been working with Compassion for a number of years to promote higher welfare practices in the pig sector across Europe. They have developed a unique tiered animal welfare certification scheme for their continental meat suppliers (which recently received UKAS accreditation - ISO: 17065) which is driving welfare improvements and helping to secure cage-free commitments across their European supply chain. Their huge investment and commitment has been fundamental in continuing to raise the bar for pig welfare and has already shown promising results, particularly in countries like Italy and Spain - not known for their higher welfare credentials – where their suppliers are leading the way on free-farrowing systems in their countries. In recent years, Compassion has been working in partnership with the International Cooperation Committee of Animal Welfare (ICCAW) in China, developing an awards programme to recognise the higher welfare achievements of Chinese pig and poultry producers. The awards are based on criteria that equate to stars with five being the highest accolade. This year there were 17 Good Pig Production Award winners (with one five star winner) - which are set to benefit more than 423 thousand pigs every year - five Good Egg Production Award winners (of which three achieved five stars) and seven Good Chicken Production Winners, again with three achieving 5 stars. In total, this year’s Chinese Award winners are set to benefit more than 180 million farm animals every year. This year’s China award winners are wide ranging - from farms that supply some of the leading production companies in China, including producers for Yurun and Chuying Agro Pastoral Group, to smaller, local producers that rear traditional breeds of pigs for the local market. Heilongjiang Ama Pasture Agriculture Group Co. Ltd in China received a five star Good Pig Production Award. They are an ecological organic agriculture and animal husbandry company and have won numerous national and regional awards and honours. They rear a crossbreed pig (a traditional breed crossed with a Berkshire pig) in bedded systems and are completely stall free. They meet all the criteria as current policy and for this have been awarded a 5* award. 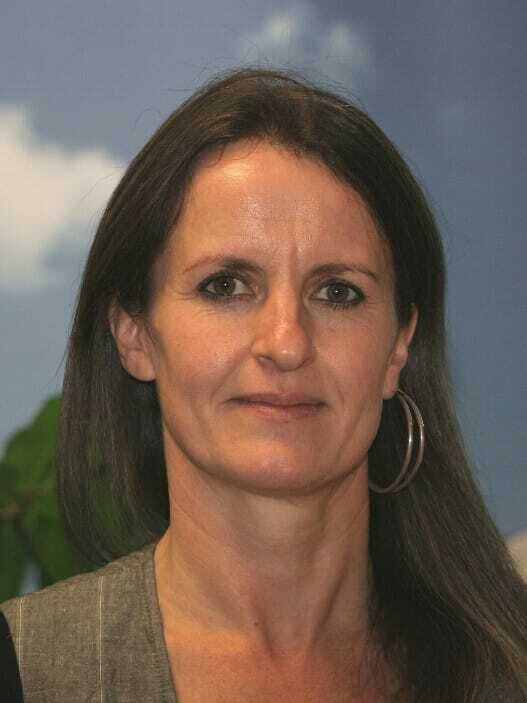 Dr Tracey Jones, Director of Food Business at Compassion in World Farming concludes: “There has undoubtedly been a sea-change in attitudes to farm animal welfare within the last decade - driven by consumer demand, investor considerations and market forces. Thanks to the work of Winterbotham Darby and its suppliers, indoor free farrowing is becoming a commercial reality in European speciality cured pigmeat, and thanks to our Chinese winners, sow stalls are becoming a thing of the past and pig welfare is moving up the social agenda.